Disney’s live-action remake of “Beauty and the Beast” was released in 2017. 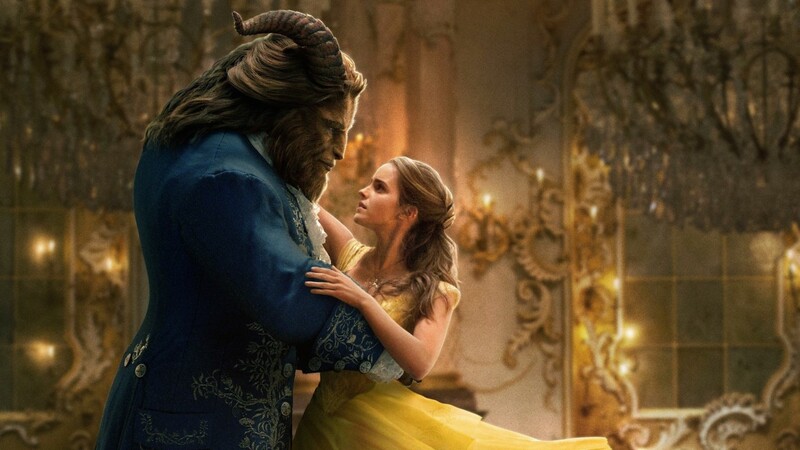 The film starred Emma Watson as Belle and Dan Stevens as the Beast. Photo from intofilm.org. The House of Mouse is a staple of many childhoods all around the world, myself included. In recent years, Disney has decided to remake many of their famous animated movies and also tell the stories of some famous secondary characters like Maleficent. These films have received the praise of some Disney fans, but they have also received criticism from others. This article will focus on the live-action Disney remakes and retellings beginning in 2014 with “Maleficent.” Disney did release live-action remakes of some other famous films prior to 2014, but for the purpose of the article, the films in question will be from 2014 and onward. Upon starting this adventure, it was necessary to find out what the Seton Hill University community felt about these live-action movies, so I turned to Twitter. Ultimately, the Twitter poll that I created only generated 10 votes, but the votes overwhelmingly expressed a dislike for these live-action remakes with nine votes for disliking the films and only one vote for liking them. So what was it that people dislike about these movies so much? Junior biology and psychology double major Alexis Johnston agreed with Wessel’s point about Disney’s choice of animation. 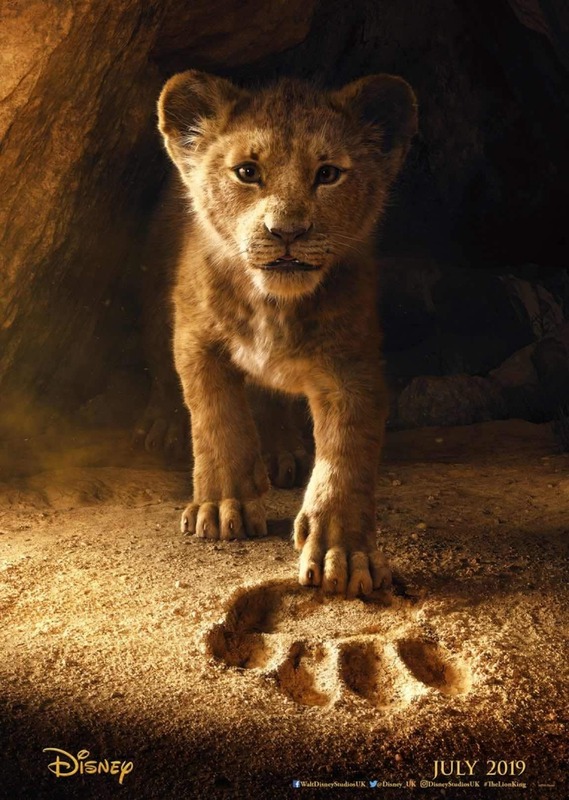 Disney’s live-action remake of “The Lion King” is scheduled to be released in theaters on July 19. The film stars the voices of Donald Glover as Simba and Beyonce as Nala. Photo from Disney.co.uk. “A lot of the charm of the older movies was the 2D animation, and that’s gone now,” Johnston said. Disney’s use of CGI in the majority of their remakes like “The Jungle Book,” “Beauty and Beast” and upcoming films such as “Dumbo,” “The Lion King” and “Aladdin” has been a hot topic in the discussion of the live-action remakes. Specifically, if the large amounts of CGI in these films actually qualify them as live-action. “What is [Disney] going to do? Have [Beyoncé] dressed up as a lion acting in front of a green screen? No, they’re not. And I would rather have a realistic looking lion with her voice,” said senior theatre performance major Ian Denham. Not all Disney fans have similar thoughts on the matter. “I’m not sure if I would qualify films such as ‘The Lion King’ and ‘Dumbo’ as ‘live-action’ since the main characters, or all of the characters, are animated,” said senior music therapy major Rachel Curfman. Another hot topic regarding these remakes tends to be if they add anything new or creative to these childhood staples. 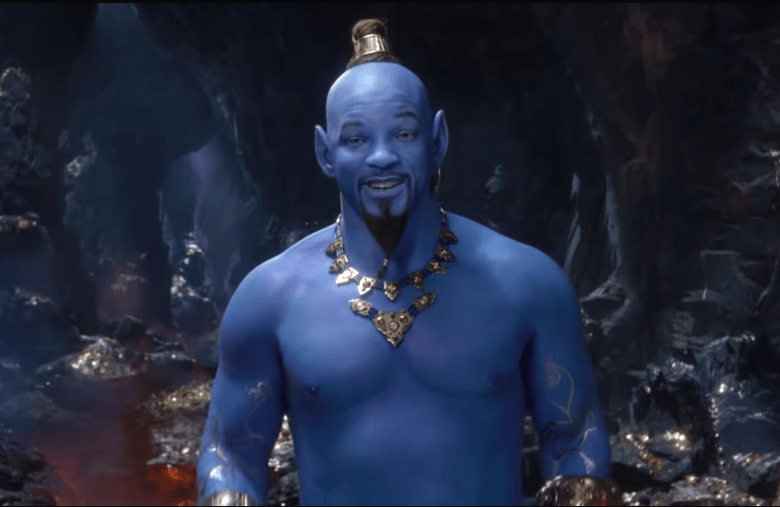 Pictured above is Will Smith as the Genie in Disney’s 2019 live-action remake of “Aladdin,” which will be released in theaters on May 24. Some have criticized the appearance of Smith’s blue CGI Genie, which has resulted in the creation of many memes online. Photo from IndieWire. The next live-action remakes that will be in theaters are “Dumbo,” which premiered March 29, “Aladdin,” premiering May 24 and “The Lion King,” premiering July 19. Naturally, some fans do fully accept and love the new changes that Disney makes to its classic films. Disney constantly puts out high quality films, both retellings and completely new ones, that are enjoyed by many throughout the world. Naturally, some people are going to dislike these remakes, but others will vastly enjoy them. And as long as they continue to make money, Disney will continue to retell their famous stories.